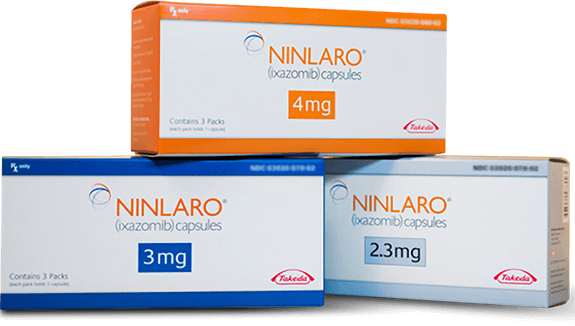 *The NINLARO regimen included NINLARO+lenalidomide+dexamethasone. †Defined as treatment to progression or unacceptable toxicity. ‡Dexamethasone is taken on days 1, 8, 15, and 22 of a 28-day treatment cycle. 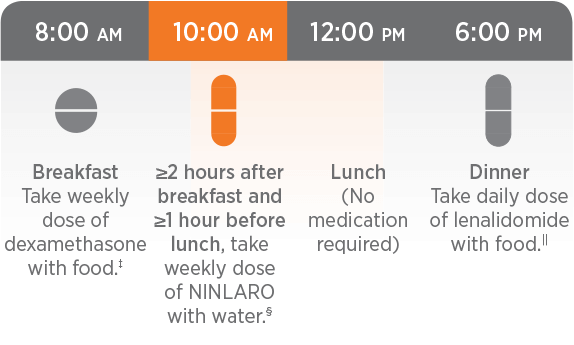 §NINLARO is taken on days 1, 8, and 15 of a 28-day treatment cycle. 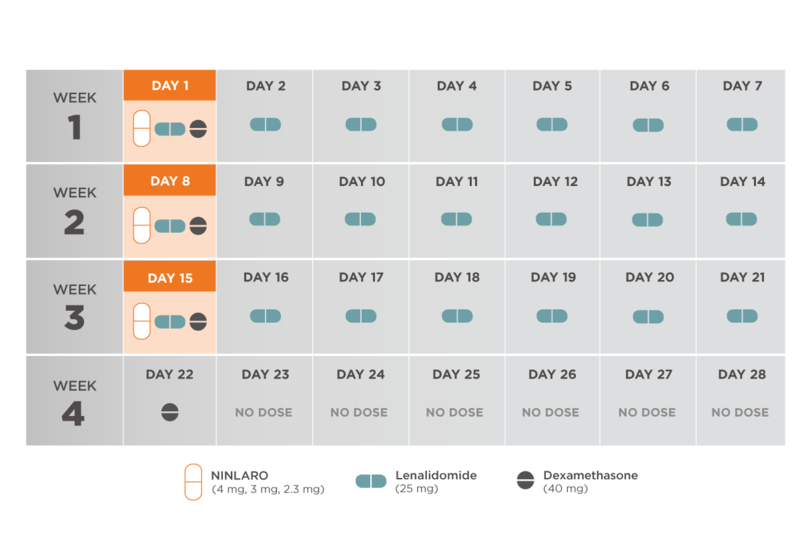 ||Lenalidomide is taken daily on days 1 through 21 of a 28-day treatment cycle. *For additional occurrences, alternate dose modification of lenalidomide and NINLARO. 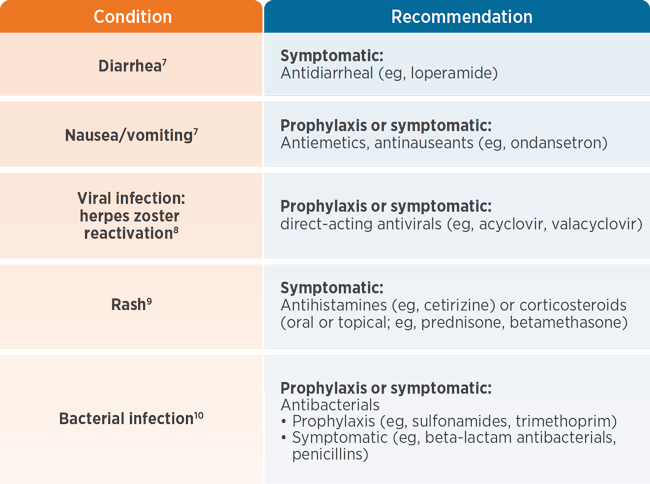 †Grading based on National Cancer Institute Common Terminology Criteria Version 4.03.